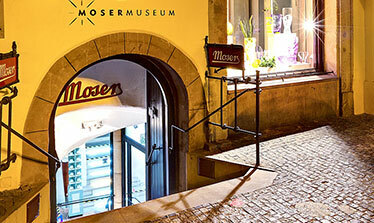 We cordially invite you to visit a new Moser Sales and Art Gallery, which offers a wide range of luxury drinking sets and decorative objects of Moser Glassworks, crystal chandeliers as well as a place for exhibitions of renewed artists’ works of art, presentations, workshops and other forms of artistic gatherings. 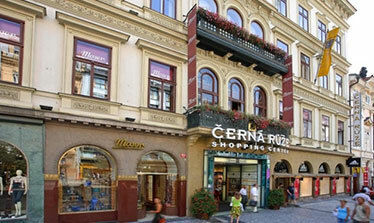 This elegant shop in the vicinity of Wenceslas Square was first opened in 1925. 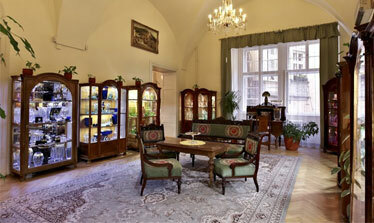 It is luxuriously decorated with wood paneling, colorful stained glass, ceramic tiled stove and Czech crystal chandeliers. 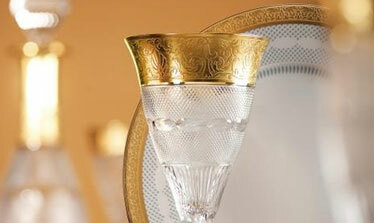 Explore the rich selection of fine stemware and decorative glass by Moser and other exclusive brands (Art-Nouveau decorative items, garnet jewellery, porcelain). *** If you wish to visit this sales gallery and receive a possible discount for the luxury products offered here, ask your guide for more specific information. 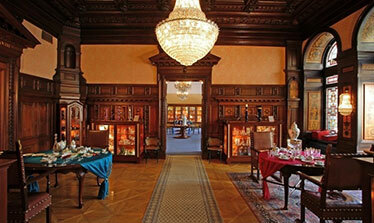 Your purchase from Moser can be delivered to your hotel free of charge. 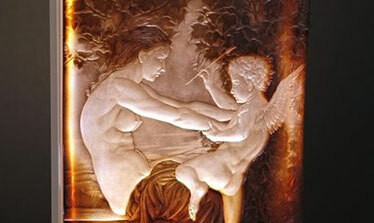 The gallery offers a delivery service through which you can send your Moser purchase directly to your home abroad. In case some piece would not be delivered in perfect condition, the delivery company guarantees damage insurance and exchange for a new product. If you are flying home, don’t forget to pack your crystal to checked-in luggage. It cannot be transported in carry-on bags in the cabin. 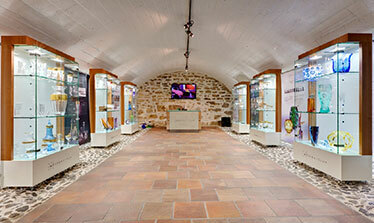 A perfect location and over 2000 square meters of sales floor make Erpet one of the shops with the widest overall selection of crystal products in Prague. 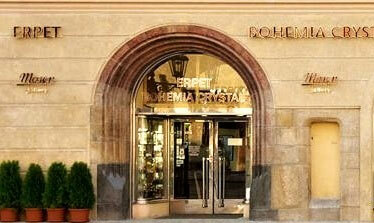 The store is in constant contact with the most famous producers of Czech crystal. 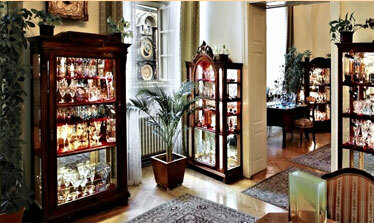 You will find an enormous selection of tableware as well as decorative glass, crystal and jewellery, including a section devoted to Czech garnet.